Nina Bassuk‘s work with CU-Structural Soil was profiled in the Sept. 27 Cornell Daily Sun: The Scientist: Prof. Bassuk ’74 Brings Trees, Greenery To Urban Areas. Bill Miller‘s ‘toil-free tulip planting’ technique was featured at syracuse.com. For more on the practice, see Plant more tulips with less effort. Alan Taylor reports: Kyle Arvin is leaving Cornell and resigned as Director of the New York State Seed Testing Laboratory effective October 7, 2011. 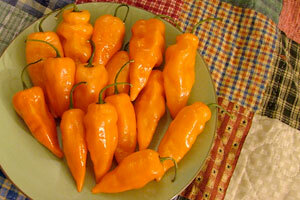 The Interim Director of the Seed Laboratory will be Michael Loos. Michael came to the lab about two years ago from Ohio State University Extension and has a Masters degree in Botany from Cleveland State University. 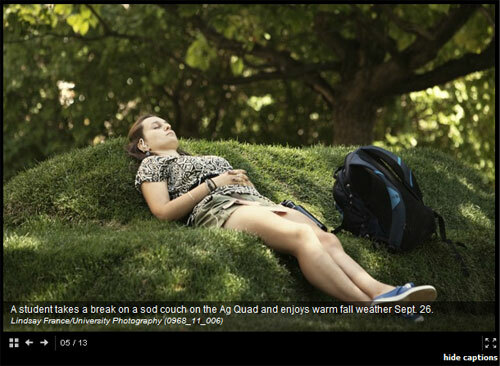 The September 27 edition of Picture Cornell featured a shot of the sod sofa constructed by the Art of Horticulture class. As part of their semester-long service learning experience, on the first day of fall students in HORT 1110 (Collaboration, Leadership & Career Skills in the Plant Sciences) planted mums at Ithaca Children’s Garden. 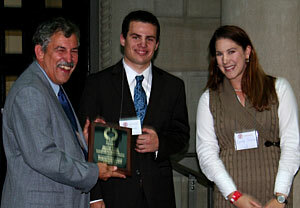 View more pictures at the ICG Facebook page. 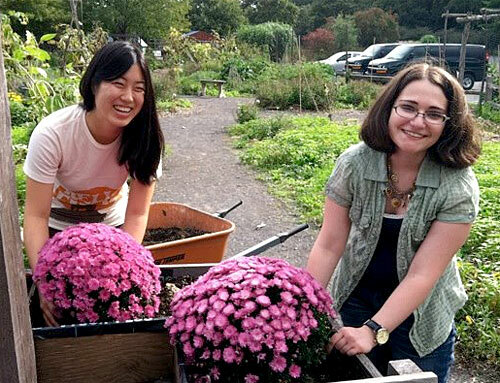 HORT 1110 students plant mums at Ithaca Children's Garden. From Sept. 23 Cornell Chronicle article, NYC press luncheon features expert on how climate change affects crops. “The situation is complicated for agriculture, Wolfe noted, where enormous expense and risk are involved in changing a crop to correspond with a changing climate. Dairy cows and cabbage, both of which represent huge markets for New York, prefer cooler temperatures … . Cornell is developing web-based decision tools, he told the reporters, to assist farmers with such complex questions as deciding on when to invest in a new field drainage system or the right time to change a perennial crop. View new climate change factsheets. Climate change webinar Sept. 26 for CU and CCE staff. Archived seminar videos, including some Dreer Seminars and other special programs, are available on our seminar videos page. 2 pages. A primer on climate science. Details the challenges farmers can expect to face and potential solutions. 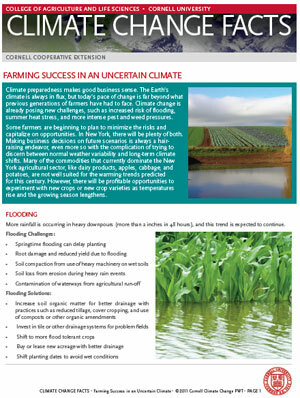 The factsheet series and other resources are available through the PWT’s Cornell Climate Change website. Programs will feature hands-on activities focusing on greenhouse viruses, thrips and monitoring media salts and pH. DEC and CNLP credits are provided for each session. The Emerging Turf War Over Anti-Soil Compaction Systems (Sept. 15, The Atlantic – Cities website) explains CU-Structural Soil and other solutions for supporting sidewalks and healthy tree root growth. “Ten years ago, Bassuk developed CU-Structural Soil to help street trees survive in soil that’s been compacted by traffic and construction. 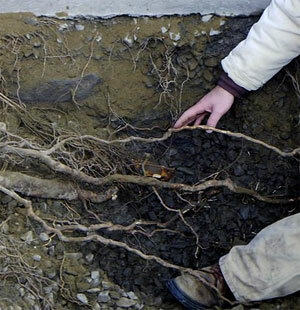 When dirt gets packed too tight, air and water can’t flow down to the roots. Often that means the roots head off on their own expeditions for nutrition and room, tearing up sidewalk on the way, or the tree dies out and the city spends time and money replacing it. CU-Structural Soil is a mix of dirt and rocks designed to bear the load of pavement and whatever rolls across it, while leaving enough open space underground for tree roots, air and water. It’s since been licensed and sold to builders and landscapers across the U.S. and Canada.” Read the whole article. More information about CU-Structural Soil. Department chair Marvin Pritts received an ‘Award for Excellence in Teaching and Commitment to Students’ September 18 from the Tri-Council and Order of Omega (the fraternity and sorority leadership council). 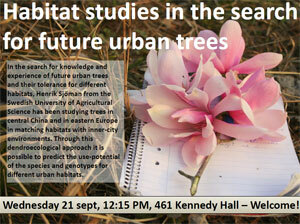 In the search for knowledge and experience of future urban trees and their tolerance for different habitats, Henrik Sjöman from the Swedish University of Agricultural Science has been studying trees in central China and in eastern Europe in matching habitats with inner‐city environments. Through this dendroecological approach it is possible to predict the use‐potential of the species and genotypes for different urban habitats.